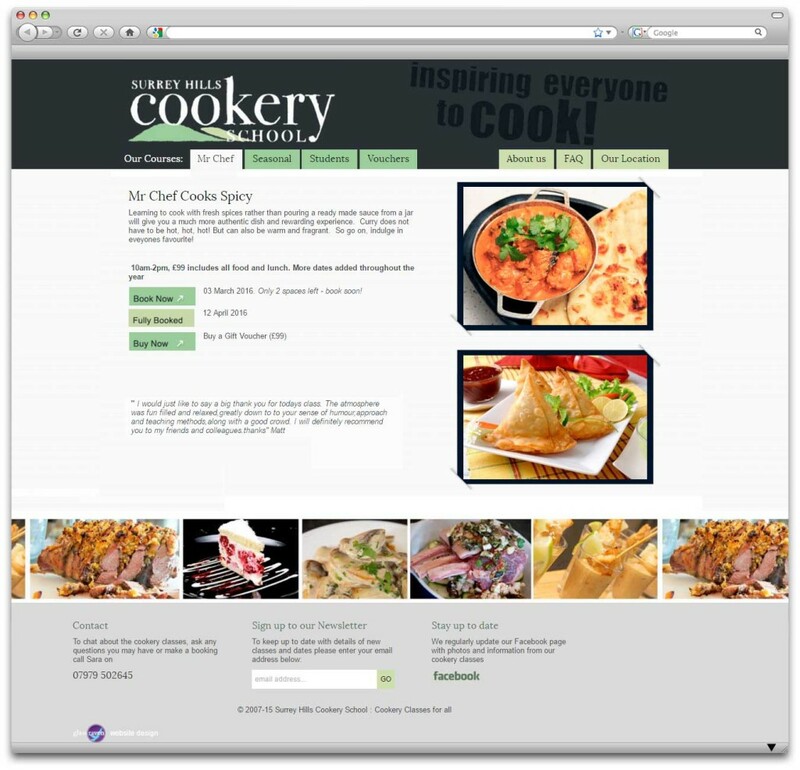 Our aim is to teach you to be more confident in the kitchen. 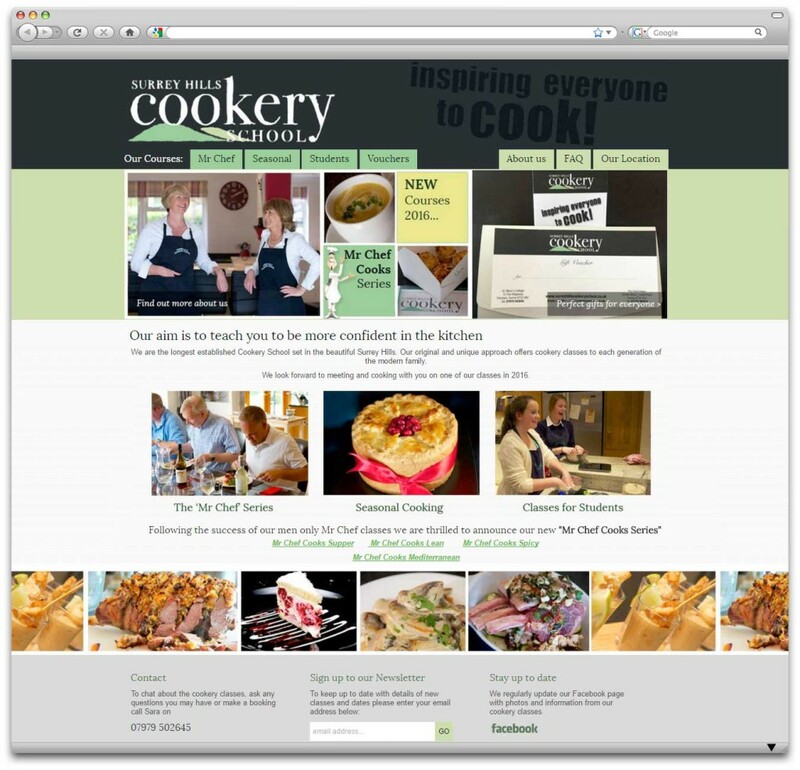 We are the longest established Cookery School set in the beautiful Surrey Hills. 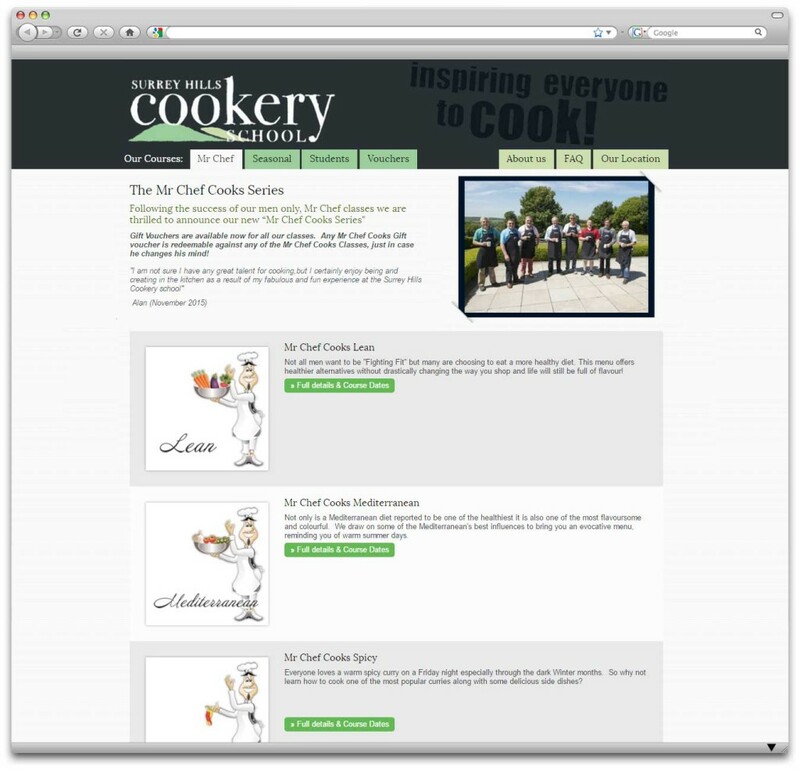 Our original and unique approach offers cookery classes to each generation of the modern family. 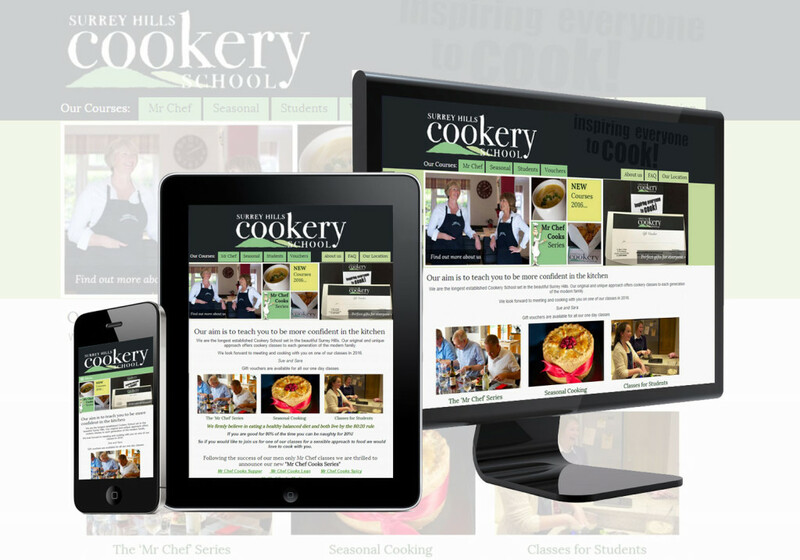 We’ve been working with Surrey Hills Cookery School since 2007, their website has been through various designs with the current site including a bespoke CMS to allow them control over their courses and availability. A custom booking system, made easy for their customers to use by customising the booking form based on the type of course / voucher being purchased. 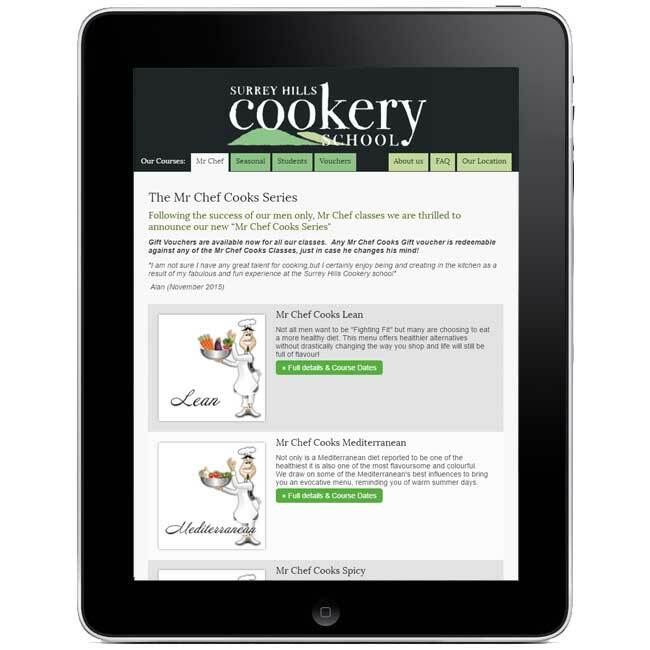 The website is fully responsively designed, so customers can view the courses and book easily whatever device they are using. 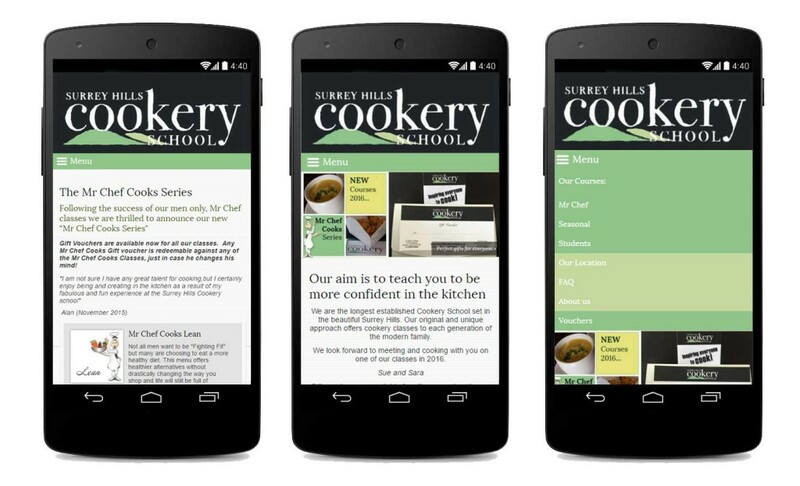 The colour scheme is taken from the Surrey Hills logo, with the addition of some of their great photography of meals students have created on their courses adding an additional splash of colour. Each course has the facility to add multiple dates, each with their own price, capacity and availability (which is kept automatically up to date when a customer books, and Surrey Hills also have manual control over availability for when they receive bookings in person or over the phone).